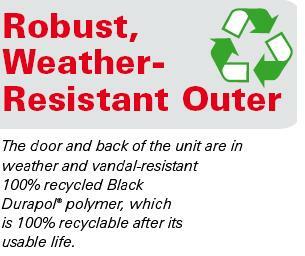 The Ashguard SG is a double-sided outdoor, floor standing cigarette bin, ideal for entrance areas. It has a large capacity and is easily accessible from both sides. 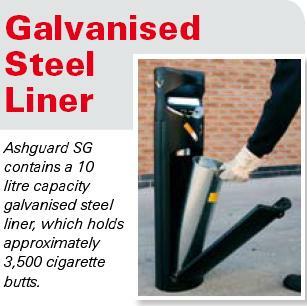 The Glasdon Ashguard SG Cigarette Bin, complete with a 10-litre zinc-coated steel liner, can store up to 3500 cigarette butts, making it ideal for busy areas within town or city centres, as well as outdoor smoking areas within workplaces or restaurants. 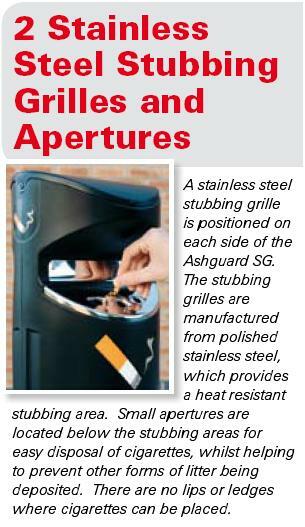 This double-sided cigarette disposal unit with stainless steel stubbing grilles provides ease of access from both sides to encourage use and decrease littering. 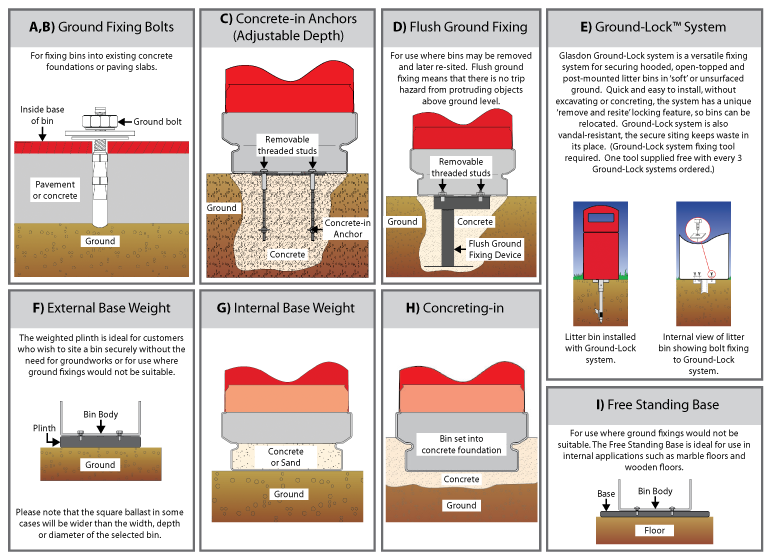 Supplied with ground fixing bolts as standard, the Ashguard SG can be easily sited at any location whilst taking up minimal space. 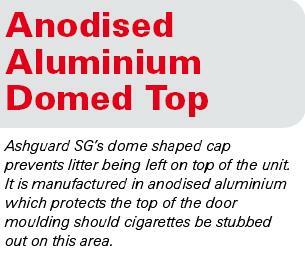 The Ashguard SG Cigarette Bin is fitted with the patented SmokeGuard™ Smoke Dampening Device for maximum security and safe collection of cigarette waste.